It’s been a while since I’ve done a Q&A—answers to questions you’ve posted here on my blog. I’ll try to do a better job of answering on a regular basis, but time slips by so quickly. . . .
As always, any questions or suggestions for new products or images have been forwarded to the appropriate departments at Stampin’ Up! Also, because this is a personal blog and I do post about my beliefs and activities related to my religion, several of you ask about my church. Rather than get into detailed explanations about my beliefs, I invite you to click here if you’d like to find out more about The Church of Jesus Christ of Latter-day Saints. Finally, I noticed that one comment included a link to someone’s personal business. I have never deleted a comment on my blog, even when they were sometimes negative and even inapprorpiate. I’ve respected my readers’ right to their own opinions, and in fact, I LOVE hearing what you have to share. However, I think that if there are comments that include links to other businesses, I’ll delete those. I’ve worked hard to keep my blog personal, light, and uplifting, and I don’t want to turn it into a marketplace. Of course, I do reserve the right to promote Stampin’ Up! when it’s appropriate! (smile) Thanks for understanding. Now let’s dive in. . .
As a hobby demonstrator, the cost of convention is beyond my means. Will there be an opportunity to present some sort of convention that could be geared more toward the hobby demonstrator? If you’re referring to convention content, we work hard to make convention the perfect event for all demonstrators, with plenty of stamping, education, motivation, recognition, and celebration for everyone, regardless of what level of demonstrator you are. If you’re referring to the cost, we subsidize the cost of convention significantly—I believe that our registration fee is reasonable. Of course, there are lodging and transportation costs as well, and we are aware of those. We do all we can to keep convention as affordable as possible for every demonstrator, because we would love to have every demonstrator attend! Is Shelby the youngest of Sara’s children? I often get questions about which husband and which children belong to which of our daughters. Because of the “publicness” of a blog, I started out deliberately trying to be vague about some details—not providing too many details about where the kids live, last names, ages of children, etc. I trust all of you, of course, but you never know how information can be used. . . .
That said, if you’re a regular reader of my blog at all, or if you pulled out the most recent Stampin’ Up! Idea Book & Catalog, you could probably piece the families together yourself. So I don’t mind making that a little easier for you. Megan, our oldest, is married to Nate, and they have four children: Tanner, Cameron, Zach, and Olivia. Sara is married to Sean, and they have five children: Sidney, Seth, Sam, Shelby, and Stella. Shalae is married to Jon, and they have three children: Ashton, Cooper, and Phoebe. Sage is married to Jason, and they have one child—Kona—with one on the way. Shanna just married Jared earlier this year. You travel a lot for work. When you travel, does it feel like work, or is it fun? You know, just about every day for me has both work and fun involved. If I’m at work, there’s definitely fun involved (our staff and demonstrators are incredible! ), and if I’m doing something fun, I almost always bring work along. That just comes along with the territory and the choices I’ve made. I learned early in life that you choose how you feel about life, and I choose to make life fun. It’s not always been easy, but it’s been a wonderful way to live! Where did you purchase the “Old Guys” T-shirt that Sterling got for his birthday? I have no idea. It was a gift from someone else, and I don’t even know who. . . sorry! 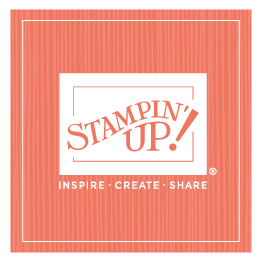 I’d love to join Stampin’ Up!, but due to finances, I can’t afford it. Any solutions for me? We try hard to make joining Stampin’ Up! as affordable as possible—our Starter Kit is very reasonably priced given everything that it contains. I realize, however, that it can still be a significant amount of money. We do recruiting promotions occasionally that include Starter Kit discounts, or sometimes added-value promotions. Make sure your demonstrator knows you’re interested, and she’ll be happy to let you know when one of those promotions comes along. We’d love to have you join us! Do you always layer your shirts/tops? You are very observant! Yes, I’d say at least 95% of the time, even in the summer, I wear at least two layers, and sometimes even more. Guess I’m just a layered-look girl. . . When you did your Workshops of a Lifetime, what did you do for booking incentives? During my workshops, I passed around a “booking basket.” Inside were 3" x 3" cards that a hostess could choose once she’d booked a workshop. Inside the card was a Post-It note identifying the gift (free incentive stamp, ink pad, etc.) that the demonstrator had agreed to provide once the workshop was completed; the hostess could remove the Post-It note and use the card. Finally, the basket also contained yummy Utah caramels, and each hostess got to take two caramels—my favorite part of the whole thing! By the way, I am doing my last two Workshops of a Lifetime this weekend (in Florida) and next weekend (in Edmonton), so I’ll be doing the booking basket again. Would you ever consider videotaping a workshop? That’s been brought up before, and I think it would be fun—and hopefully helpful! Now that I’m around a little bit more often, we might see about scheduling that. . .
Where and how do you store your holiday vignettes when not in use? And could you post photos of each one? I store each vignette in large, clear creates in my storage room. Because the crates are clear, I don’t even have to label them. As for posting photos, I’ll try to remember to do that each time I put a new one up. I’m posting this while I’m in Florida for my next Workshop of a Lifetime, so I can’t take a photo of the patriotic vignette, which is the one up now. But when I get home, I’ll try to remember to do that. How many Gardner Greetings do you send out every year? Do you use the family photo from the Idea Book & Catalog? Yes, we use the photo from the catalog. And I don’t know exactly how many we send out—it changes every year, depending on who I like! (smile) Just kidding, of course. But it does change every year. It’s more than 100, but I haven’t gone through my list and counted this year; I’m embarrassed to admit that I haven’t finished that project yet! This is a good reminder for me to get it done! Could you create the Gardner Greetings on My Digital Studio and then print out what you needed? I’m sure you could, and that would probably be a great timesaver! But when we do the Gardner Greetings, we make it a group project, with as many of the girls helping out as possible, so it’s kind of a fun family project. Plus, as you know, I’m a hand-stamp girl; I love feeling the embossing and seeing the layers. So when I do use My Digital Studio, it’s mostly hybrid projects for me. What kind of paper do you use for the Gardner Greetings? Are the purple flowers in the background of your blog photo in your yard? And are the new colors on your blog design Stampin’ Up! colors? When will Sara start blogging? I keep telling all the the girls they need to guest post more often; I think it would be great to have you get to know them better! They’re all busy moms, however, and their families are their top priorities. I certainly understand and support that. But we’ll throw the idea out there. . .
Do you have a traditional Mother’s Day gift or celebration? We’ve tried to schedule the Gardner Girls Gathering as close to Mother’s Day as possible—that’s my gift to the girls. During the GGG, I include a pillow gift for each of the girls, which is always fun for me to give them. I can always find something I know they’ll love! One reason we landed on the beef jerky as a Father’s Day tradition is because the boys are so hard to shop for—I’m never sure what they want or need! But I know they love that beef jerky, so it’s always a welcome gift, and it makes shopping for Father’s Day so much easier! No, so I’m especially excited for our Europe incentive trip next year! Did you ever in your wildest dreams visualize what Stampin’ Up! would be like today when you first started the company in your living room more than 20 years ago? Heavens, no! I have been to places and met thousands of people I would never have met! What a huge blessing it’s been in my life and the life of my family! Shauna, If you read this, please leave me your e-mail or call Stampin’ Up! and ask for my assistant! I have missed being in contact with you and your mom and would love to get back in touch! How is Sage doing? Has she found out if she and Jason are having a boy or a girl? Sage is due the first week of October, and they did find out she’s having a boy! Kona is so excited to have a little brother. Sage is doing great—feeling much better than the first few months. If you saw the photos from the GGG, you saw that she’s getting cuter every day! I know this is a silly question, but what are your menus for your Lake Powell trip? Planning the food is always the biggest drawback for any type of trip like this for me. Would you mind sharing? Not at all—the menu is very simple and basic. For breakfast we have cereal, fruit, toast and juice and the morning after we have our Dutch Oven potatoes we have ham, eggs and French toast with the leftover Dutch Oven potatoes. Lunches are always sandwiches with a variety of meats and cheeses and lots of thinly sliced veggies, fruit, and chips. Dinners are a little more diverse—hamburger and melons, chicken salad (using leftover barbeque chicken—we grill a ton once to make it easier on ourselves) and rolls, Navajo tacos, breakfast burritos, spaghetti and salad, tinfoil dinner, or barbeque chicken, baked beans, and Dutch Oven potatoes. Did your Chinese guests get to stamp while they were here? Not while they were at our house—we really just had time to have dinner and pet the horses! But they did attend convention and stamped there, and during their meetings at the home office, they tried out a few products as well. We want the patterns for the skirts that you and Sara wore for convention? They were designed by a friend of mine. I've asked her to put the directions together and I'll post it as soon as I get them from her. How did demonstrators get to have breakfast with you at convention? All the Corporate Team members had breakfast with the Recruit Crew members who recruited someone. The Recruit Crew was a group of demonstrators who signed up for a 16-week course that focused on learning and developing recruiting skills. It was a wonderful program, and a lot of demonstrators enjoyed a great deal of success. We’ve launched a second course—called Direct Your Success—open to demonstrators as well. If you're a demonstrator, you can find out more by going to the demonstrator website>Training>Recruit>Recruit Crew. I can’t promise you’ll be able to have breakfast with me at convention; I’m not sure what the rewards and recognition are for the next round. But I can promise it will be well worth your time and effort! How do you do everything you do without crashing? First of all, I don’t. I have my crashing moments, just like everyone else. I just don’t blog about those. (smile) But I do have wonderful people surrounding me who are a huge help—I couldn’t do it without them! First and foremost, of course, is my family. . I can’t even begin to express my love and appreciation for them. And then there’s a long list of other people as well, who I can’t imagine living my life without! Is your whole family photogenic? All of your pictures seem to be perfect. Is there a special trick you have for making everyone look fabulous? If there is, please share!! Keep in mind that you don’t see all the pictures I take, either. We take plenty of ugly ones—in fact, more than once someone has said, “Please don’t put that one on your blog!” And I oblige! Could you post a photo of Vonna’s family? How is she doing? How old are her children? I don’t have a formal family picture, but I do post pictures of her and her children often when we have family get-togethers. She’s doing great! She and Sean have nine children and five grandchildren. Fabulous—thanks so much for asking! Her cancer is in full remission, and she’s actually starting to teach school again this fall. She’s so excited for that! I've always noticed how great your little photo collages are that you include on your blog. What type of program do you use for that? I use Picasa—an application that you can download free from the Internet. I am not a demonstrator but would love to come to a convention. Is that possible? We have invited guests to convention in the past. When we do, they come and participate in all the activities. We haven’t done that for a few years, however, and I’m not sure whether we’ll be doing it again. Sorry I can’t be more helpful than that. I’d love to have you come, though—maybe you should sign up! Where do you and your girls get your clothes? We don’t shop at just one store—we shop all over. Shopping is in the Gardner Girls DNA—we love it. We like to explore small boutiques, but we really find things we like in all kinds of different places! Do you ever forget why you started it all? I don’t know that I actually forget, but I lose sight of it once in a while, so it’s good to be reminded. Of course, if I’m being “reminded,” I guess that implies that I’ve forgotten, doesn’t it? (smile) With all the stress and chaos and deadlines in life, I think we all sometimes forget what our priorities are and what is most important in life, and I know most of us forget to stop, relax, and enjoy the small things that make life worthwhile. That’s what stamping does for me, especially when I get to do it with my girls and other wonderful people in my life! Does Sterling ever share his Dutch Oven recipes? I’m sure he would be more than willing to share his recipes with you—if he followed a recipe! He’s an adventurous Dutch Oven chef—he just tosses in what’s available, and it almost always tastes great! There are lots of Dutch Oven recipes books out there though, and you can find lots of recipes online as well!